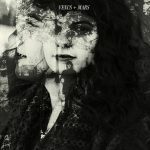 VENUS + MARS: Pelsia (SC9) — pleasant vaporwave; two or three things played at once over a good beat with ethereal vocals as occasional decoration fading in and out. Mostly beautiful, sometimes turns into a more of a raucous hot mess. But a very pretty one. Like Tumblr in recorded form. Personal favourites: “Gris Epochal”, “Pelsia”. 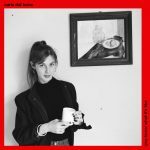 CARLA DAL FORNO: You Know What It’s Like (Blackest Ever Black) — first solo album from dal Forno. Slow, echo-drenched indie pop; a foundation of dubby post-punk bass and pattering drum patterns with various guitars, strings, flutes and synths weaving over and around it. Well-assembled and effective, for all its retiring surface. I particularly liked “Fast Moving Cars” (the single), “What You Gonna Do Now?” and “The Same Reply” (which is substantially a single note with repetition). Above: “Fast Moving Cars”, “What You Gonna Do Now?”, “You Know What It’s Like”. 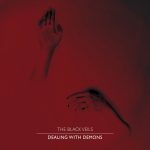 THE BLACK VEILS: Dealing With Demons (Atmosphere) — starting from punk-pop, heavy on the jangle, with a fair bit of bass-driven post-punk influence. And the vocal stylings more than a little like Morrissey. “The Persistence of Memory” is an excellent starter, in your face and singleish, with melodic variation you don’t see coming. “Nothing Is Pure” has the muscle of the best Smiths tracks. “True Beauty Attacks!” is shouty post-punk and I love that bass sound; like a sprightly version of early Cure. “Freyja” reminds me of Interpol. This is good and rocks. Above: “Dealing With Demons”.